A delicious one dish dinner! 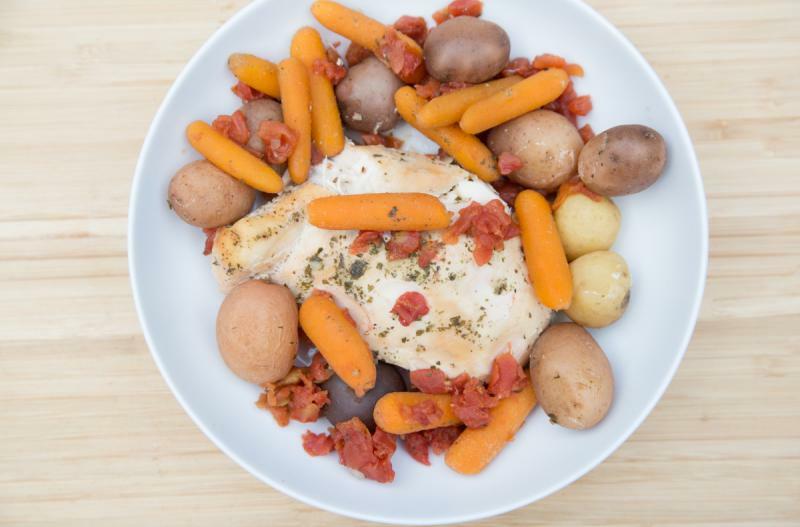 Place the chicken in the base of the slow cooker and add the baby potatoes and baby carrots around and on top of the chicken. 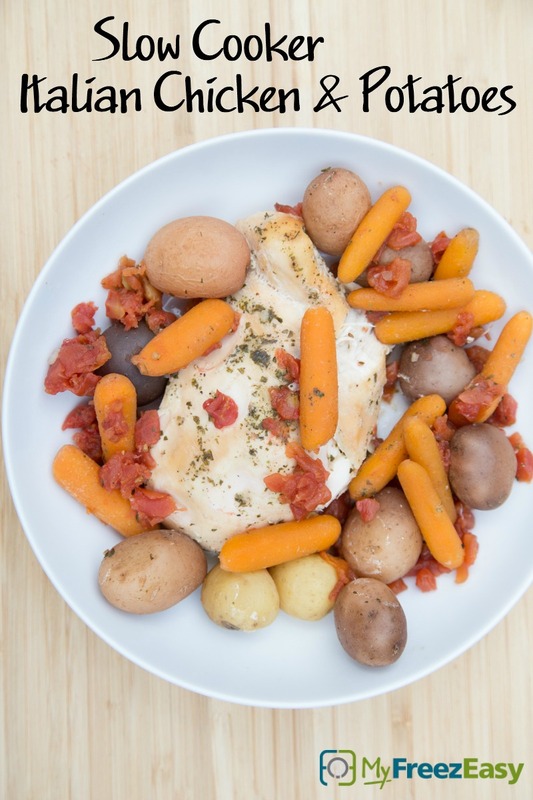 Pour the diced tomatoes and their juices over top of the chicken-potatoes-carrots. Sprinkle the Italian seasoning over top. Sprinkle a little salt and pepper over the top. Serve Slow Cooker Italian Chicken & Potatoes with side salad.